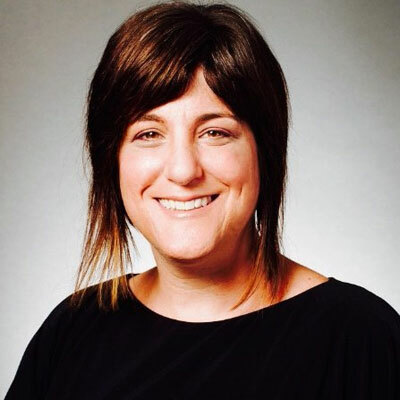 Rebecca Rosen leads Broadvoice's marketing organization, with direct responsibility for the overall marketing strategy including channel and product marketing along with product management and the product roadmap. Before joining Broadvoice, Rebecca ran channel marketing for ShoreTel's master agent channel, where she was hired from her consultancy for her expertise in the channel space. Before that, she directed marketing and training for what is now TPx, then TelePacific. With more than 20 years' experience in technology, she has a record of driving triple-digit revenue growth for partners, and suppliers alike. In addition to her work with Broadvoice. Rebecca is a board member and vice president of WiC and a member of the National Speakers' Association. In the past, she has served as a member of the CompTIA expert channel faculty, and on the boards of the Technology Channel Association and the Advisory Board for Channel Partners. Broadvoice's transformation from a largely direct partner organization to one that is driving more sales through master agencies has included significant investments in our channel marketing, channel support staff and significant investments in our cloud solutions aimed at making it easy for partners to do business with us. Meanwhile, we have been working over the past year to expand our training and continue our investments to ensure continuous implementation and support improvements. Broadvoice is a channel first company. We have an aggressive goal to ensure that the agent channel grows exponentially in 2018. We continue to hire accomplished channel managers, dedicated partner support managers, and invest in channel marketing. Currently, we are focused on enabling partners to quote Broadvoice the way that works for them: through our simple to use partner portal or through one of our own dedicated partner sales managers. I admire Claudia Murphy, who is the retired dean of my graduate program. She is a fierce role model, creating her own direction and then advocating for discipline advancement. Even in her retirement, she continues to pursue research and advance her field. I would tell my 16-year-old self to be inquisitive, ask questions, raise your hand and advocate for yourself, even when you feel alone. I would love to be able to manipulate Excel equations like a boss, so I could build profit calculators and track ROI with ease. I read "Wonder" by R. J. Palacio with my twin girls. I loved this book because it reflects on the human spirit and teaches us that kindness is rewarded with great and potentially unexpected friendships and learning. I cried though most of the book, my daughters developed a greater understanding of empathy and liked that it was something we could enjoy together.